I attended a friend's wedding reception last weekend. It was held at Rumah Kabeda located at Kukusan, Beji, Depok. Although the location is actually within walking distance from my parents' home but I have never been there. The place turns out to be really shady with lots of big trees and green grass everywhere. I walked along the place and found out some big fish ponds at the back of the main house and some men and their kids were doing fishing there. I am not sure about the exact width of the place but it's certainly a very wide area.There is a main big house right in the middle, some huts around and others are open space with green grass and trees. What a fresh atmosphere! Mama: Kak, what's your favorite day? Najla: I love Monday because I have a piano lesson on that day, while Tuesday is nice because there is Physics Education at school, Wednesday is fun because I will have a choir practice for my activity unit at school, Thursday is also great because one of the subjects at school is computer lesson and I love Friday because it's the last day of school and weekend will always be my favorite. Mama: Well...it seems mama need to learn from you, kak.. If we focus more on the things we like and pay less attention to the things we don't like perhaps we might enjoy life more!!! A war can change everything. This is actually a love story between Danijel (Goran Kostic), a Bosnian Serb police officer and Ajla (pronounced Ayla) (Zana Marjanovic), a Bosnian Muslim Artist. They are together before the war but their relationship is changed as violence engulfs the country. 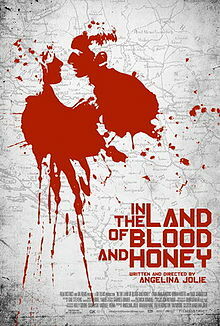 In the Land of Blood and Honey is set against the backdrop of the Bosnian war that tore the Balkan region apart in the 1990s. The movie is Jolie's directorial debut. Despite the controversials that follow the movie such as certain Serbs thought the movie isn't balanced, a writer sued Jolie as the plagiarist of his work, and also the uniforms, military equipment, weapon of the Bosnian Serb Army shown in the movie are said inaccurate and never seen in the war in the former Yugoslavia, I still consider this movie as something. As we all know, the war never brings any good. For me this movie brings even more frightening description. How horrible an ethnis cleansing was. Anyhow it needs a strong heart to see this movie. You'll find mass executions, raped, being used as human shield and all the other horrors are easily conducted and shown in the movie. Although Jolie shows many unique and artistic scenes but still the gloomy ambience is there. Nevertheless I salute Jolie for her debut movie. It is not just an ordinary movie. It is special since it needs a deep research and hard work to put this war story into a movie. I watched the movie several days ago but it still leaves me with mixed feeling and just lingers in my mind up till now. Let's meet Zarah Amala (means Partikel Cinta), the new character in the fourth book of Supernova series. Zarah is raised in an unconventional way by his eccentric father, Firas. Being different is never be easy. Just look at Zara's life. She leads a life that full of conflict. But she's a survivor. She faces all. She starts her journey in finding a home. A place for her restless heart. From Bogor, Tanjung Puting, London, Bolivia, and some African countries, let's go around the globe with Zarah. Be ready to feel amazed with so many new insights about everything. Open your heart and mind. Take all incredibles things to enrich ours. "Saya percaya, rumah itu ditemukan di dalam," katanya lembut sambil menempelkan tangannya di dada. "Kalau di dalam damai, semua tempat bisa jadi rumah kita" (p.213). Tak pernah kukira cinta punya bentuk lain. Yang sedemikian digdaya. Begitu berkuasa dan mendominasi, aku hanya bisa tersungkur di kakinya. Sukarela (p. 326). "Menjadi kuat bukan berarti kamu tahu segalanya. Bukan berarti kamu tidak bisa hancur. Kekuatanmu ada pada kemampuanmu bangkit lagi setelah berkali-kali jatuh. Jangan pikirkan kamu akan sampai dimana dan kapan. Tidak ada yang tahu. Your strength is simply your will to go on" (p. 362). It's still more to enjoy. This book is just worth to wait until 8 years. Definetely excellent. Unputdownable! Now it's time to wait for the continuation of Supernova series. Can't hardly wait. Both of our daughters, Najla and Zea are big fans of hot sweet tea. They drink it like....everywhere, at home of course and even when they eat out in a restaurant. Several weeks a go we browsed around one of the shopping malls in South Jakarta and decided to have lunch in one of the restaurant there. As usual Najla and Zea ordered hot sweet tea, well...not really hot actually, they asked for warm sweet tea. After waiting for quite sometime, the tea finally came. I grabbed the tea cup and felt it was so hot. I warned Najla and Zea to wait couple minutes before they drank the tea. Najla listened to her mom's warning and focused on her food while Zea seemed couldn't wait to sip her tea. Suddenly we --and the whole people in the restaurant-- could hear her scream, "panas...lidahku sakit.."
The screaming and the crying went on like... forever, nothing could stop her. Although the waiters seemed very sorry and asked for apology and directly changed the hot tea into a new warm sweet tea, but the damaged was already done. When the waiters saw that the new drink didn't give any good, they changed their strategy. They talked to Zea and offered her fresh fruits in order to make her tongue felt better but Zea looked not interested and was still busy crying. Finally the waiters came up with their latest idea, asking Zea to taste their ice cream although at first Zea refused the offer but after sometime and listened to her big sister's suggestion, she finally said yes. Whew...our drama queen finally smiled and enjoyed her free ice cream. Everybody's happy at last. What a relief! History is my cup of tea. 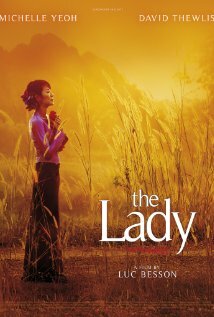 Watching The Lady as an epic love story of Aung San Suu Kyi and her husband, Michael Aris really puts me into mixed feeling. How distance, long separations and dangerously hostile regime can't change their strong love. Their love survives. It endures until the very end. This incredible love story against the backdrop of political turmoil is really inspiring. Lots of love and life lesson are there. "Hidup ini panjang, Aurora. Pada saat ini segalanya terlihat hitam, namun waktu menyembuhkan dan menghapus nyaris semuanya. Tahap ini seperti berjalan membuta dalam terowongan; bagimu kelihatan tidak ada jalan keluar, tapi aku pastikan jalan itu ada. Teruskan, Nak." A sequel to Isabel Allende's Daughter of Fortune as it's the story of Eliza Sommers' grand-daughter, Aurora del Valle. Aurora suffers a brutal trauma that erases all memories of the first five years of her life. Raised by her ambitious grandmother, Paulina del Valle, Aurora grows up in a privileged environment but it's tormented by horrible nightmares. When she discovers the missing pieces of who she is, she discovers her heritage, her true history and finally she learns and understands about life. Again Allende conveys a stunning story. She tells about love, desire, tragedy and dark family secrets, all played out against the dramatic background of revolutionary Chile. Allende takes her characters through San Francisco of Gold Rush times through turbulent times in Chile during war and the rise of women's rights. As usual Allende's historical research is quite excellent. Her story always gives new insights to her readers. This time she focuses more on war and history and love as well. Although Allende seems describing her novel in a non-romantic manner. Still it's an enjoyable and recommendable read. 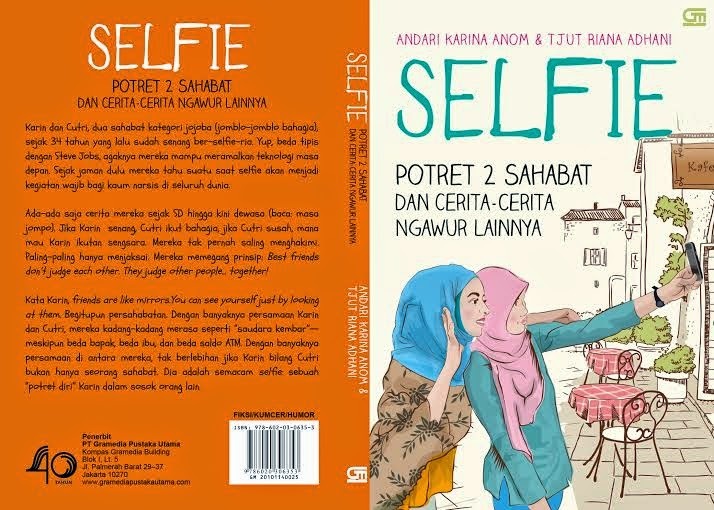 After writing about Betawi culture in Kronik Betawi, now Ratih Kumala launched her latest book with unique theme. Still talking about local culture but this time the author tells about Gadis Kretek, the Javanese culture started from Dutch occupation until now, the modern era. The main characters here are three siblings, Tegar, Karim, Lebas, the heirs of Kretek Djagat Raja. Their father, Mr. Raja is dying and suddenly is giving his latest order to his sons to look for Jeng Yah, his ex-girl friend from long long time ago. The journey in fulfilling their father's request bring the three siblings to a nostalgia. They must flash back to their family secrets and family business. They go along several cities in Java island and try their best to find out Jeng Yah who was used to be very famous as the owner of Kretek Gadis. It's really a beautiful and very rich story. It's not only a romance but it is far deeper than that. The author is doing excellent research about kretek cigarette industry from time to time and completed with the up and down of the industry. No wonder that the flow of the story and the characters appear in the book are delivered vividly. A must read. Yang namanya keyakinan memang tak bisa dijelaskan. Ia akan datang sendiri tanpa harus punya alasan. The third book written by one of the best Indonesian writers, Okky Madasari after Entrok and 86. This time Okky tells about violence and discrimination against minority. She delivers her message through Maryam, a young woman, who lives in Lombok with her family. What's so special about Maryam's family? They're all muslims but they are believers of Ahmadiyah, one of religious sect. What is Ahmadiyah? By reading Maryam's story we will get a description of life as an Ahmadi. It turns out most of them have become Ahmadi since they were born. The belief has been inherited from their parents, grandparents even the great-grandparents. They live peacefully in Gerupuk, one of the villages in Lombok, but being 'different' is never be easy. Since elementary school usually Ahmadi kids have been labeled 'deviant', the problem is getting more complicated when they grow up, going to college, working outside Lombok and fall in love with non-Ahmadiyah believer. This condition usually leads to a family conflict. But out of the blue, their life turn upside down. One day they are suddenly asked to leave their village. Their houses are destroyed, some are burnt, they need to live all their belonging without really knowing the actual reason. They lose everything. They are finally evacuated to a place without knowing how to save their belonging and until when they must leave together in that temporary place. According to the author, she isn't an Ahmadi herself, she didn't write about Ahmadiyah or defend Ahmadiyah. She just wants to share about life as a minority and how they are being discriminated. How they become a victim without any legal process. The book was written based on fact. It took six months for the author to do research including interviewing the victims in Lombok. I read all Okky's books. I notice that she always comes out with different theme. She promotes the humanity. This time she hits me with new insights about being minority, change my point of view and mix my feeling with anger, sadness and sympathy. Nevertheless religious faith is a matter of individual freedom. The book is also completed with a CD of Okky & Friends. There are nine songs written by the author.